We Went All-Out, As A Team! 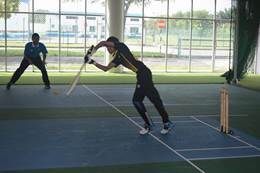 Despite being new comer in the new format of the game, huge pressure on the team and stiff competition from other colleges & universities, the APU Cricket team secured a 2nd runner-up position at the Malaysian Cricket Association (Cricket Governing Body in Malaysia) – First Ever Indoor Cricket Championship 2016, held at Bayuemas Oval Indoor Cricket Stadium Sports complex in Klang, from Sunday, 27 November to Monday, 28 November 2016. It was not a cakewalk for our boys to start the tournament with losing the opening match. But maintaining high pressure and huge expectation, Team did demonstrating fantastic teamwork and outstanding perseverance, 8-member team fought through the preliminary rounds to the semi-finals before securing the 2nd runner-up position. Kudos to the team for their competitive spirit and many thanks to the Club’s coaches Edwin Pio Rufus & Arun Seeralan and the Team Manager, Leo Gertrude who dedicated much effort in managing and training the APU team. Congratulations for the outstanding performance! Read more about We Went All-Out, As A Team! 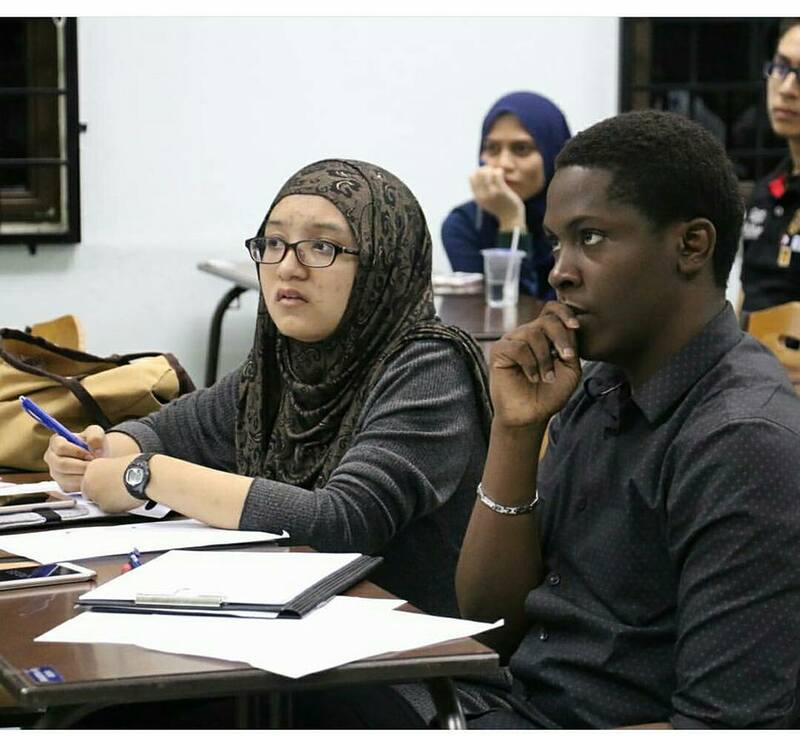 We are pleased to share that two of our debate teams, comprising Nurul Qistina Abdul Karim and Eric Onuoha (Team APU A) and Zhiyun Chia and Sadiq Ayinde (Team APU B) excelled at The Great Royal Gender Debate 2016, that was held at the International Islamic University of Malaysia (IIUM) recently. The Great Royal Gender Debate 2016, hosted by the NAM Institute for the Empowerment of Women (NIEW) in collaboration with Ministry of Women, Family and Community Development (KPWKM), was an initiative to create a platform for youths to debate on social and gender issues faced in society. Both APU teams demonstrated impressive performance, in which team APU A made it all the way to semi-finals, whereas team APU B made it all the way to the finals, and attained the 4th Place award. Do join us in congratulating the teams! Well done! Record-Breaking Success - We Won Our 23rd APICTA Awards since 1999! For the 23rd time since 1999, we have won ourselves an APICTA Award! 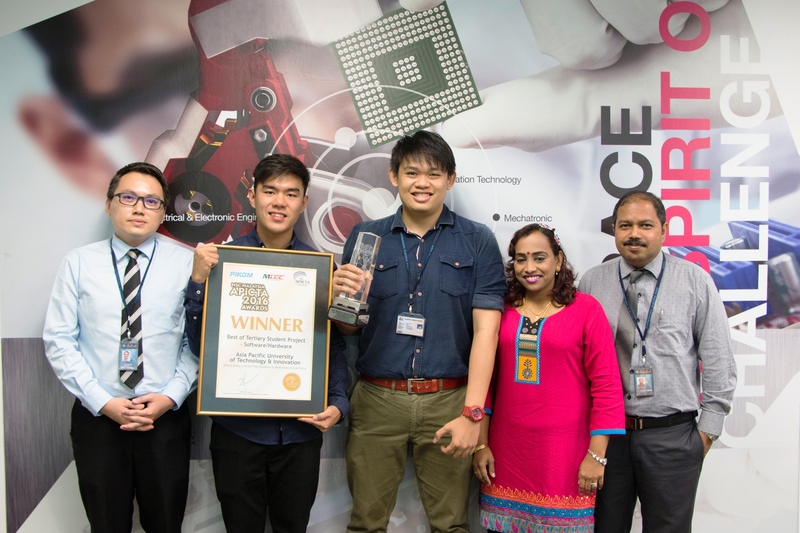 Our students from the APU School of Engineering (SoE) successfully emerged as the Winner for MSC Malaysia Asia Pacific ICT Alliance (APICTA) Awards 2016. 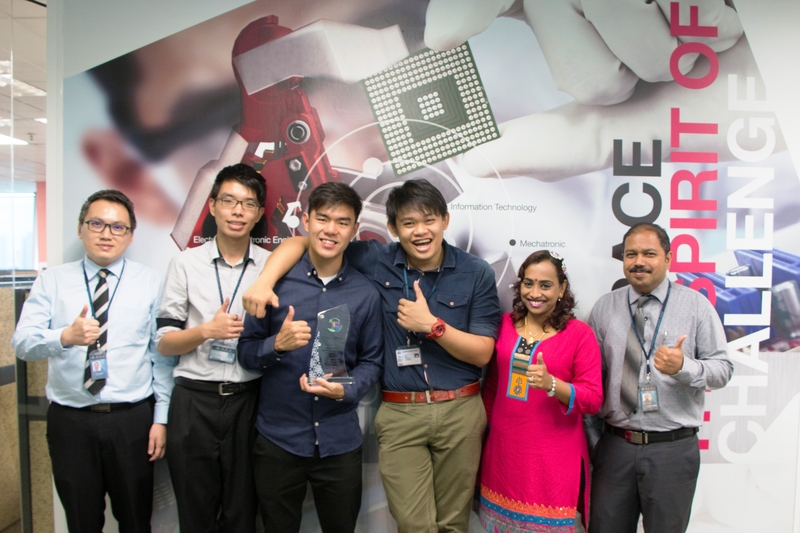 The winning team comprises Ngie Kok Sin and John Lim Hong Aun, who are both Year 3 Mechatronic Engineering students. 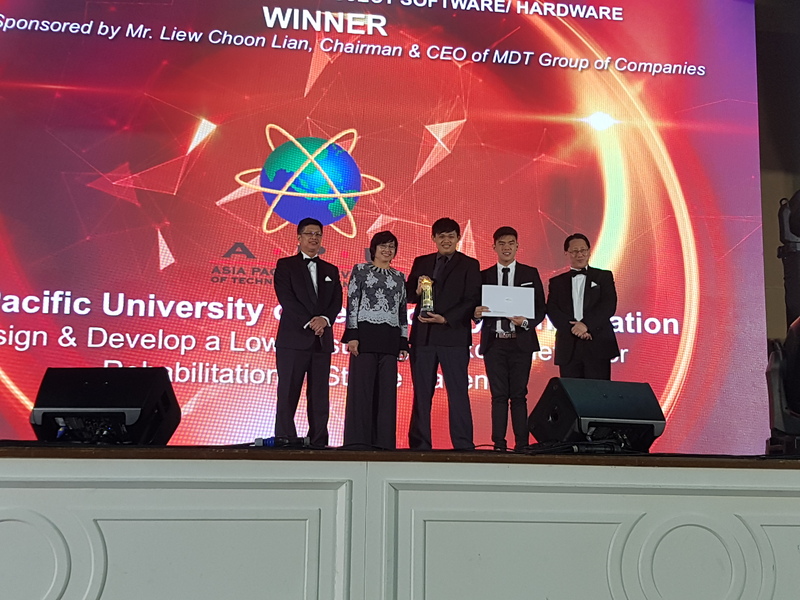 Our students’ innovative invention, the ‘Low Cost Finger Exoskeleton for Rehabilitation of Stroke Patients’ stood out among all other universities in Malaysia in the ‘Best of Tertiary Student Project – Software/Hardware’ category. Prior to the participation in the competition, the duo has worked on the project for 9 months, under the supervision and mentorship of Vickneswari Durairajah and Suresh Gobee. The APICTA Awards is an international awards program organized by APICTA, which aims to increase ICT awareness in the community and assist in bridging the digital divide. Upon their victory in the Malaysia Finals, Kok Sin and John will be representing Malaysia in the International APICTA, which will be held in Taipei, Taiwan from Friday, 2 December to Monday, 5 December 2016. Congratulations to them for the achievement! Let’s also join our hands together to wish them ‘all the best’ for the upcoming International APICTA in Taipei. Read more about Record-Breaking Success - We Won Our 23rd APICTA Awards since 1999! Here’s another good news to share! 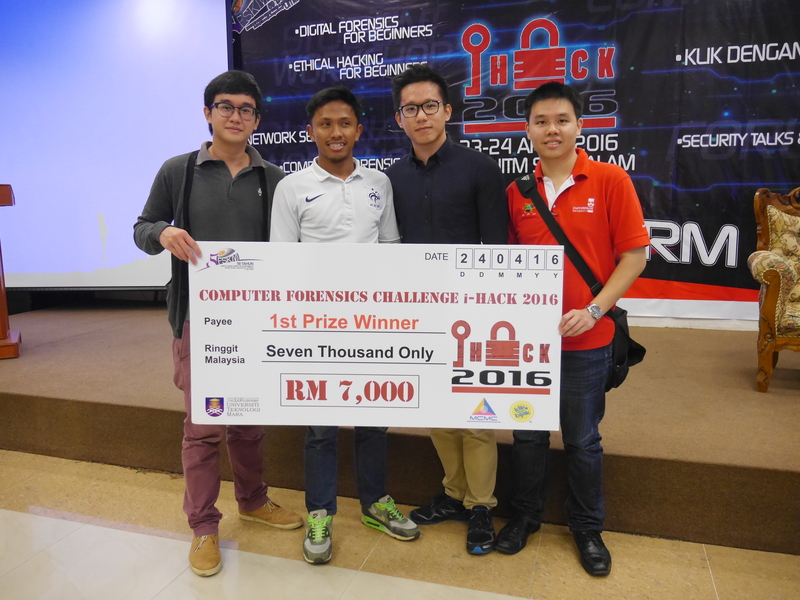 Our students from the APU Faculty of Computing, Engineering & Technology (FCET) recently made their name at the first GreenTech Youth Innovation Challenge 2016, which was organised by GreenTech Malaysia, an organization under the purview of the Ministry of Energy, Green Technology and Water (KeTTHA), and Asia School of Business, in conjunction with the International Greentech & Eco Products Exhibition & Conference Malaysia (IGEM) 2016. Throughout the competition, our team of students, comprising Ngie Kok Sin, John Lim Hong Aun, Lee Jun On and Chan Kar Keng went through 5 stages of challenges, in which they were required to develop a prototype of a product that addresses the world’s environmental sustainability issues. Our students developed the “Intelligent Room System”, which made use of Arduino Nano, Motion & Light Sensors and Solid-state Relay to automate the switch of lights to save electricity. Eventually, green technology is the future and we are glad that our students are exposed to it prior to their graduation. Congratulations to the team, who was mentored by Vickneswari Durairajah & Suresh Gobee, for this awesome achievement! 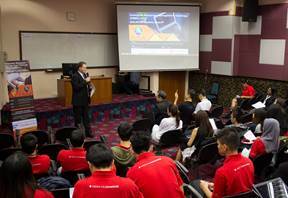 We are pleased to share that APU recently hosted the Enterprise Resource Management (ERM) Challenge 2016 – Malaysian Finals on September 17th, 2016 for the Northern and Central Region of Malaysia. 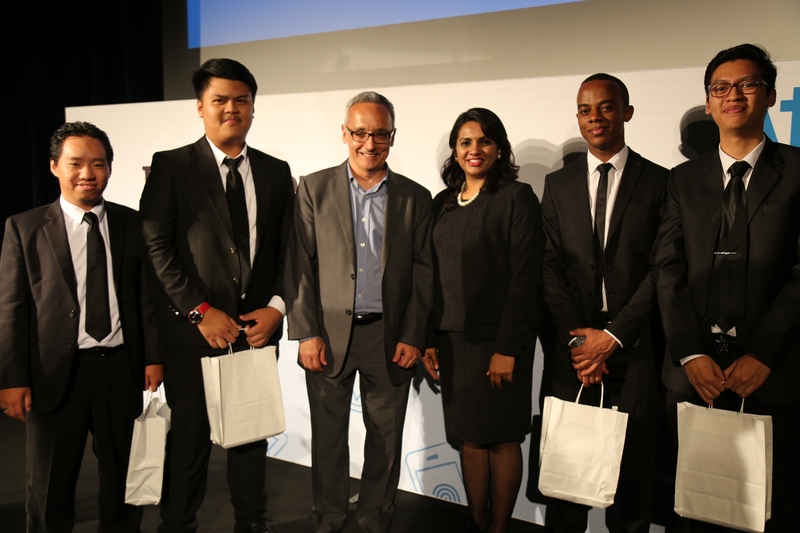 The ERM Challenge was based on the SAP Endorsed Monsoon Sim ERP gamification modules, with objectives of equipping students with the necessary skills in using SAP as part of their tools to perform ERM. 12 teams from APU and other private & public universities in Malaysia participated in the challenge, and 3 of APU’s teams were ranked 3rd place, 4th place and 5th place respectively. The challenge platform was provided by Monsoon Sim , who were represented by their President, Mr Abdy Taminshah and Singapore Director, Mr Alex Ong. Prof. Ron Edwards launched the challenge as inspired the crowd with his opening speech. The event was organised by the School of Accounting, Finance & Quantitative Studies, School of Computing and School of Foundation, represented by Ms Geetha A Rubasundram, Ms Vinothini Kasinathan and Ms Abbhirami Sivarajan. Special appreciation to Mr Suresh Balasingam, Ms Lai Siew Fong, Ms Nalini Gebril, Mr Mohd Firdaus and to all staff who assisted to make this event a success. Hopefully with more events like this, we are able to ensure that our students are equipped with the necessary knowledge when it comes to industry practice, in which these knowledge are useful in their future career pathways. 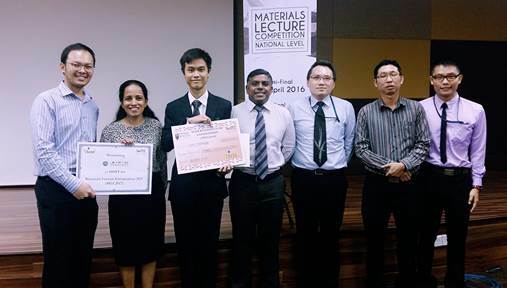 With great pride, we would like to share that our student, Hoy Chan Wai from School of Engineering (SoE), was crowned champion at the national finals of the Materials Lecture Competition that was held in Universiti Teknologi Malaysia (UTM) last week. The competition saw participation from undergraduate and postgraduate students who came from Malaysian private and public universities. Since 2013, APU students have taken part in the Materials Lecture Competition and had qualified into the National Finals every year. This year, despite the strong competition from other contestants, Chun Wai’s outstanding presentation skills and technical content stood above the rest. 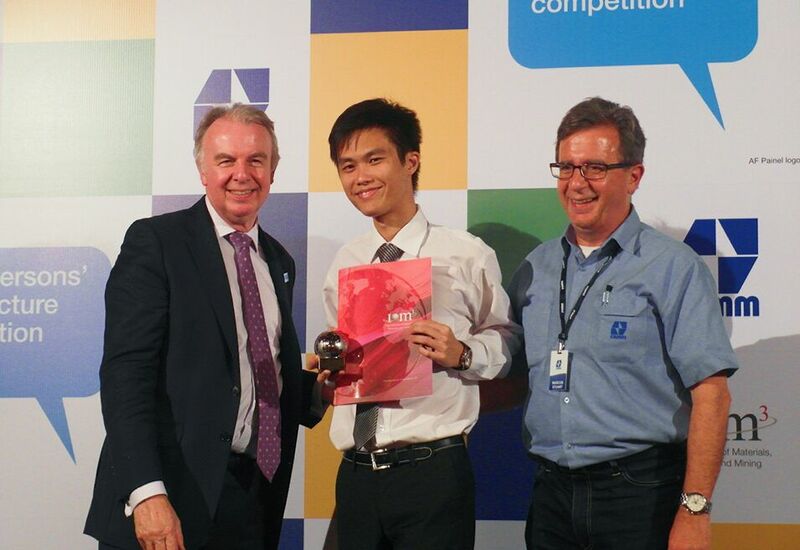 Apart from being crowned as the champion of Malaysia’s Material Lecture Competition, Chun Wai was also nominated to represent Malaysia at the Young Persons’ World Lecture Competition (YPWLC) organised by The Institute of Materials, Minerals and Mining (IOM3), which will take place in Brazil in October. 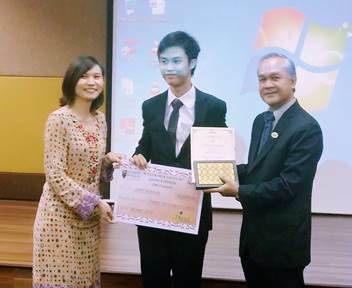 We are indeed very proud of Chun Wai’s achievement; good job and thumbs up to his mentors, Dr Lai Nai Shyan, Brian Lim Siong Chung, Jacqueline Lukose and Dr Lau Chee Yong, who had assisted and prepared Chun Wai in various areas, such as public speaking, material content and coordination with the Institute of Materials Malaysia (IMM). In addition to the achievement, we are also glad to announce that APU had won the bid to host the 2017 Malaysia IMM MLC Semifinals and Finals at our new campus. It will take place in February 2017 and May 2017 respectively, and will be chaired by Brian Lim Siong Chung from School of Engineering. We have all waited for this moment of glory! Muhammad Alkautsar Sanusi, Abdulhamid Ahmed Ali, Gamma Rizkinata Satriana and Syahmi bin Suleiman, Level 2 students of the BSc (Hons) in Information Technology with a specialism in Mobile Technology and BSc (Hons) in Information Technology with a specialism in Information Systems Security, who represented Asia & Malaysia as one of the Top 3 Finalists at the ATOS IT Challenge 2016 Global Finals, were crowned as 1st Runner Up in Paris, France on the 14th of June 2016. What’s more? They also bagged the Social Media Award, thanks to their active engagement with their followers on the social media. The team, under the mentorship of Hemalata Vasudavan from the APU School of Technology (SoT), battled through 8 months of planning, research and development of the ‘Go n Gone’ mobile application – an application that allows social media monitoring, filtering and deletion of inappropriate content. It was a remarkable achievement by our undergraduate students, as they competed with other finalists from the UK and France, who were made up of postgraduate & PhD students respectively. Click here to read the interview reports with the team and their mentors, Prof. Dr. Ir. Vinesh Thiruchelvam and Ms. Hemalata Vasudavan about their secret recipe to success. Click here to view the interview with Team "Go n Gone"
Click here to view the interview with the mentors of Team "Go n Gone"
Triple The Joy - APU Bags 3 Awards at the International Invention, Innovation & Technology Exhibition (ITEX) 2016! We are delighted to announce that the two teams of students from School of Engineering (SoE) have achieved outstanding results in the recently concluded 27th International Invention, Innovation and Technology Exhibition (ITEX), which was held at the Kuala Lumpur Convention Centre (KLCC). In the event, the teams have successfully attained Gold and Silver award. In addition, the team led by Mr. Alvin Yap Chee Wei has won the special award of the Best Green Invention 2016 Award. The award aims to recognize the supreme contribution in the field of renewable energy and environmental sustainability, and is awarded to a single invention from over 1,000 local and international participating teams. Our performance has improved on year to year basis at ITEX. In 2015, two teams were sent to the competition, where Gold and Bronze medal were attained. The achievement this year proves that our student’s work has improved in facing the challenge of the innovation industry. It was indeed a great achievement and this has once again proven that our students possess qualities that are able to meet industry expectations and standards. Do join us in congratulating the students for their success and thumbs up to their mentors for the guidance! Read more about Triple The Joy - APU Bags 3 Awards at the International Invention, Innovation & Technology Exhibition (ITEX) 2016!